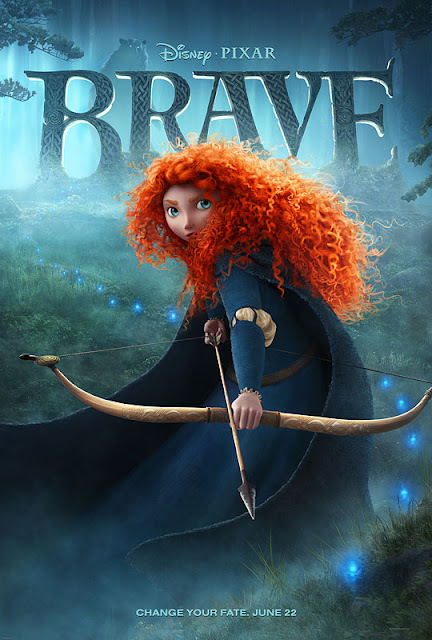 ...And just like that, here's a new trailer for Brave, just like I mentioned in yesterday's post. Actually, it's not so much a trailer, as it is a sequence from the film, edited down a bit to fit into 2:30. And how about this sweet new poster?! That new trailer is great, great character design, great camera work, timing, render quality just shines. You guys are setting the bar WAY too high! Thanks for posting. WTF going on now in HOLLYWOOD! They got LACHILL with HILL and they got BOW! We see the god- damn BOW so that's BOWHILL? VERMONT...they say HARCOYAN and DON ad YANYLIZ did the CONYMA with CONYMANN? And that means there goes OKLAHOMA- STING. I think that means that WASHINGTON is " WAY" fucked. Glad you like it, skarab. Michelle, you raise some salient points! I suppose time will tell. This movie can't get released soon enough. Absolutely brilliant. Can't wait! Just love the look and artistic direction overall. Her hair is so mesmerizing! Brave web site is go!